Hello! 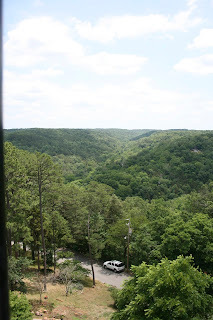 This is my third and final post of our family visit to Eureka Springs, Arkansas. Scroll down if you missed the first two posts. 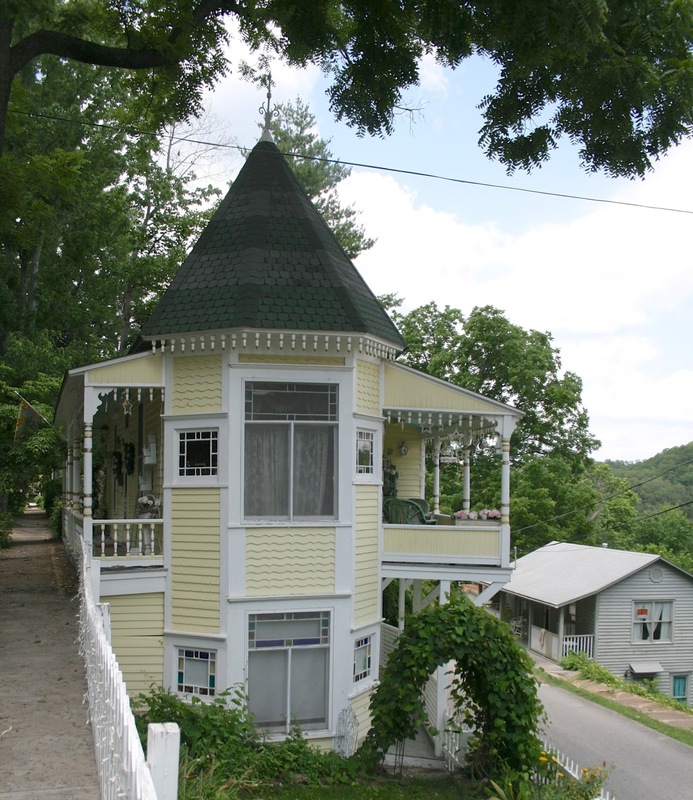 After touring the downtown shops, we started to walk uphill to see some of the beautiful residential homes. At the top of the hill, we discovered this beautiful Historic Hotel. It is called The Crescent Hotel and was built in 1886 and is absolutely gorgeous! That's me standing in front of one of their signs. This is the backside of the hotel. It has a lovely gazebo and gardens, with a beautiful dining room that's full of sunshine. This is a scenic view of the hotel. A lovely water fountain in one of the many gardens the hotel has. The view from the top of the hotel garden spot. We did go inside the hotel to see the restaurant and gorgeous lobby. You can see more pictures of the interior of the hotel HERE on their website. We were also able to climb up to the very top of the hotel using an exterior railing and saw some magnificent views like the one below. My son-in-law and daughter in the hotel garden. Aren't these street posts cute? This was my absolute favorite house by far! I love the Victorian Charm and the way it was built into the corner of the street. So adorable! And it was for sale too! 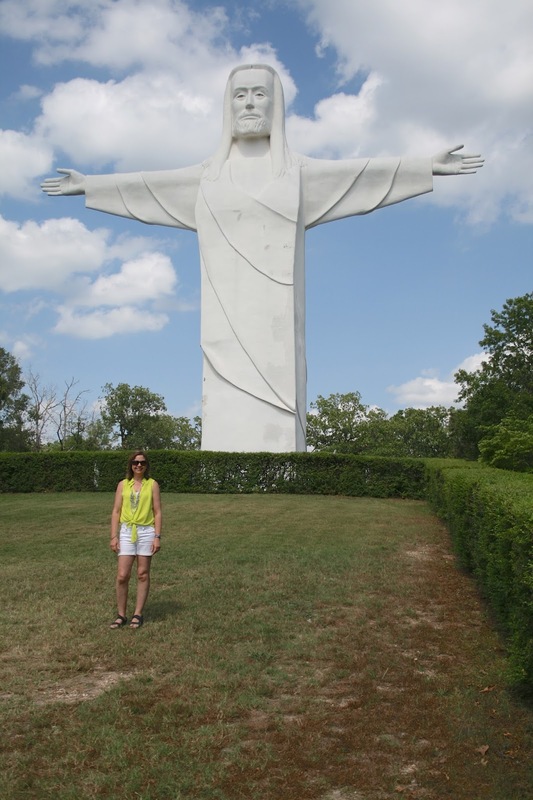 Before we headed out of town, we decided to see the Christ of the Ozark's Statue. 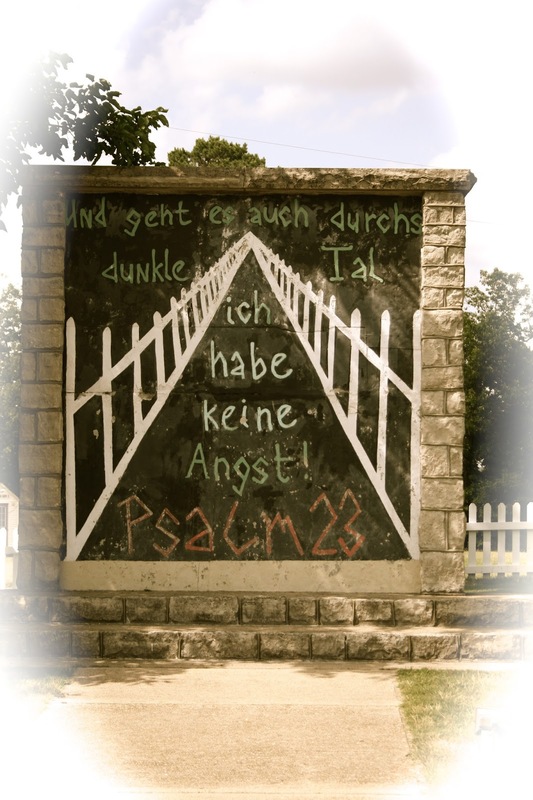 Eureka Springs is known for it's great Passion Play which has been performing since 1968. It is an outdoor theatre with a permanent set, 125 actors, and live animals. We did not go to see it, so I can't give you a review. The reason we chose not to see it is because they only do night performances, starting at 8:30 p.m. Well, our hotel was over two hours away, and Eureka Springs is not an easy town to find. 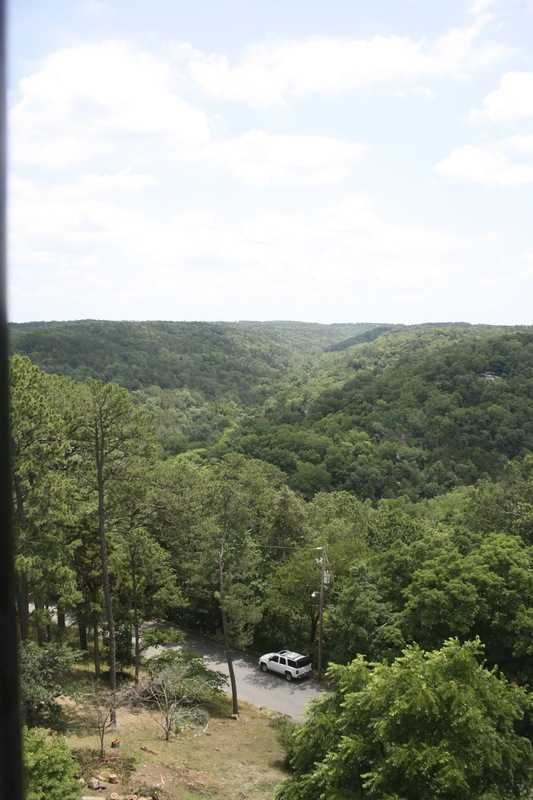 We couldn't imagine trying to find our ways out of the Ozarks in the dark! So, we skipped it. BUT if I ever get back to Eureka Springs, and get a room at the Crescent Hotel, I will definitely attend a performance. This is the view in front of the statue, you can see the Crescent Hotel from here. 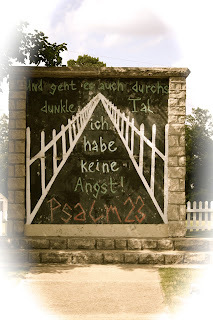 As we were leaving the Passion Play grounds, we spotted this original piece of the Berlin Wall. I had to get out of the car and place my hands upon it. It was so meaningful to me to physically touch something that came from another part of the world, another lifetime ago, with so much pain and suffering connected to it. That was the end of Day Five of our Missouri Vacation. Only one day left to share. WOW!! Gorgeous photos!! What fun for you! Wish I was with you! LOL!! Love those historic buildings...so amazing! Thanks for sharing your holiday journey, I'm enjoying the pictures and learning more of the wonderful world out there! Fashion Over Fifty "Skinny Jeans?"